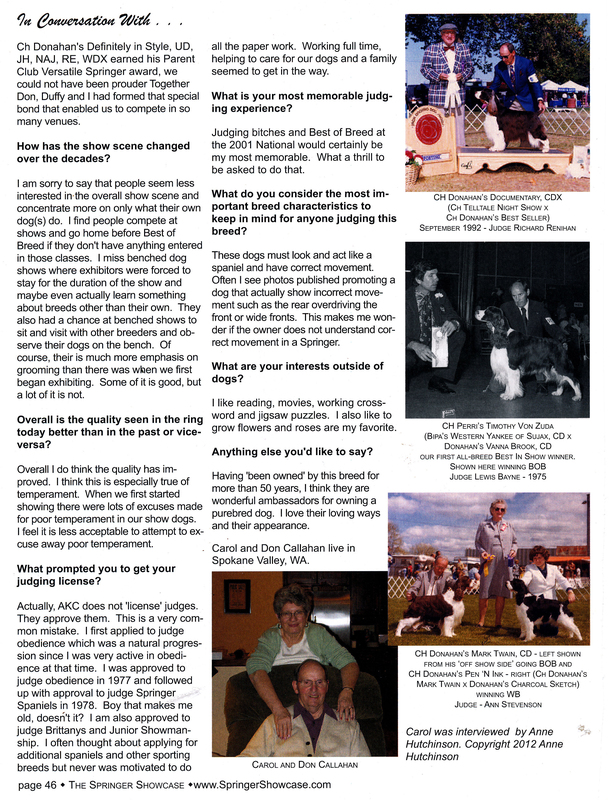 Welcome to our July/August Dog Bytes. 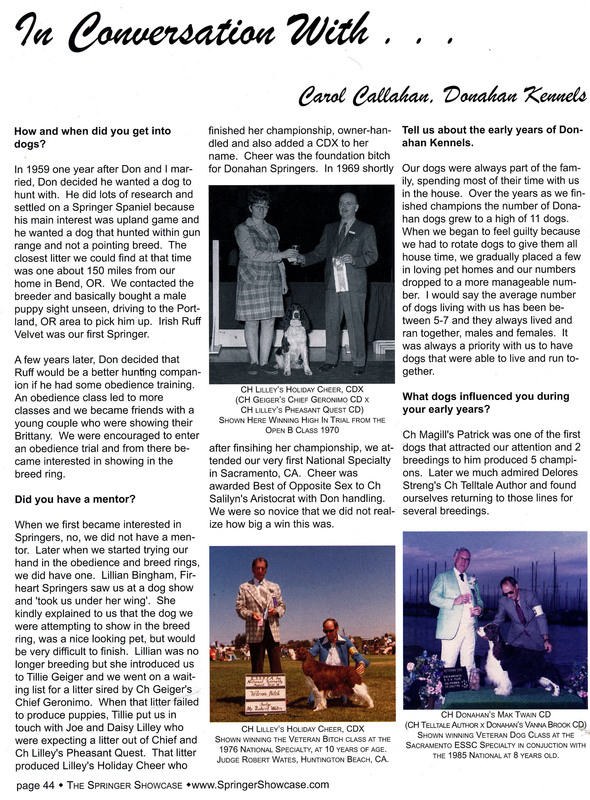 A big thanks to Carol and Don Callahan for our member article in this issue. You’ll find the results for our specialty in the “Show Results” area. We hope everyone is enjoying these beautiful summer months. Message from Larry Schwartz: CERF is now out of business after 30 years. Eye registrations should now be sent to OFA, Orthopedic Foundation for Animals, 2300 E. Nifong Blvd., Columbia, MO 65201. The fees are the same. This interview was conducted by Anne Hutchinson and originally appeared in the Springer Showcase June 2012. Permission has been given to re-publish it here in the WVESSA Newsletter. Saturday August 9 at 1:00pmNote from Larry. The scheduled meetings for the rest of the year are: October 25th, November 23rd, December 13th. The October Meeting will be a Halloween Costume Party and Super Pet Competition. There will be prizes for Best Costume and Best Group/Dog & Owner Costume and Best Dog Costume. Let’s have some fun with our dogs! The meeting will be at the Englishes barn. November will be the CGC evaluation. We are still looking for a location. The meeting should be in the Salem/Albany area. The December meeting is our annual Christmas Party and gift exchange at the Englishes. We have no official September meeting schedule. I am offering my house, if members want to get together for a craft day. Please let me know. The club would like to express our sincere condolences to Jeff and Debbie Kirsch on the loss of their Bailey, “Just My Bailiwick” March 16, 2005 – July 27, 2014. These are the results from the WVESSA Specialty on July 18th, 2014 at the Stumptown Cluster. 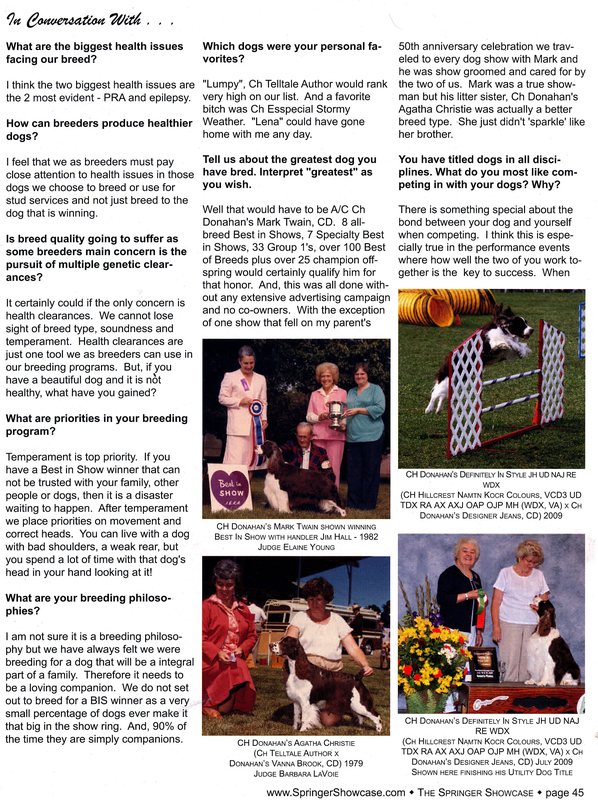 For full catalog results, breeders, owners, etc. go to Infodog. Obedience- Participants with scores earned are all listed on Infodog.